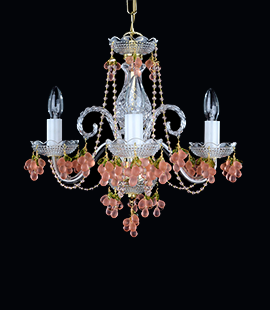 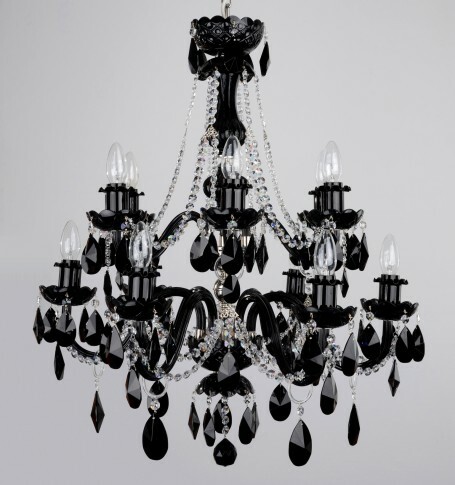 The design silver crystal chandelier decorated with black crystal almonds and clear crystal chains. 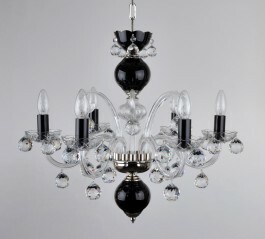 6+6 glass arms in two tiers. 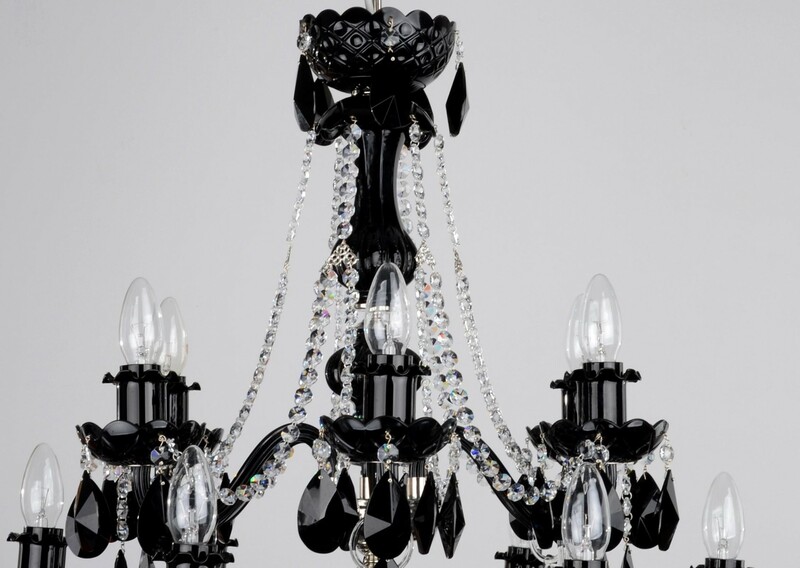 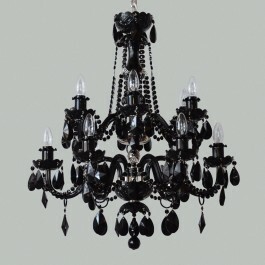 The design Black crystal chandelier with 6+6 profiled glass arms. 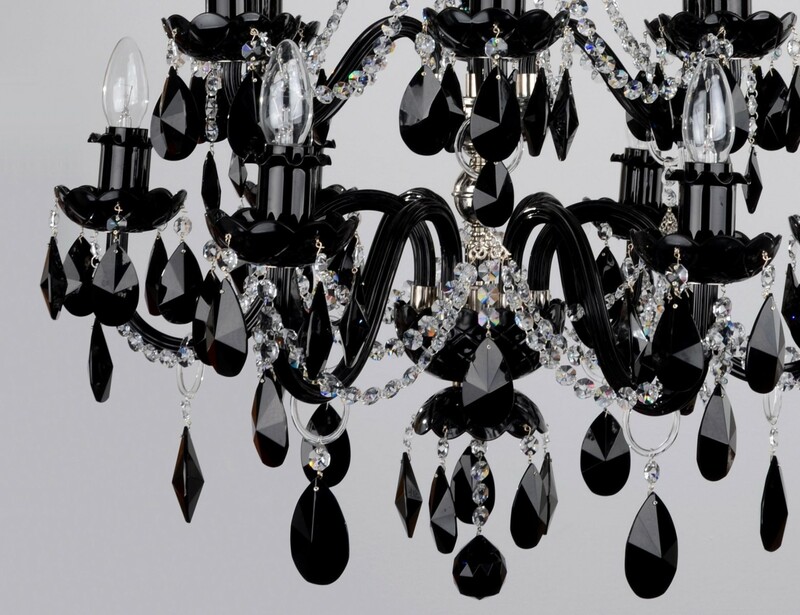 Trimmings: Cut black crystal almonds & Clear crystal chains. 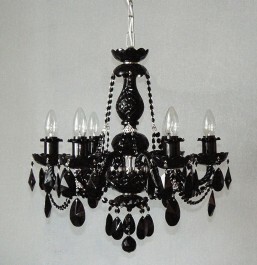 Silver metal finish (Nickel coated brass). 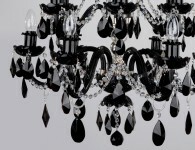 The black glass tubes covering el. 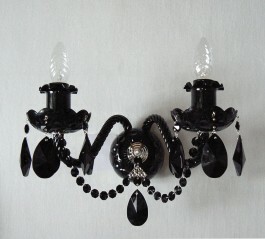 sockets are covered with black glass warmers. 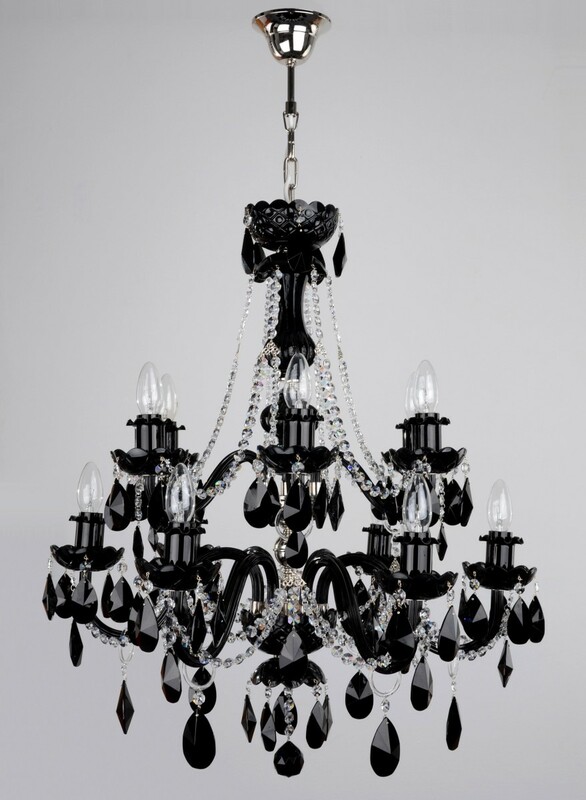 Dimensions (W x H): 66 x 75 cm/ 26.9"x30.6"